We know you are passionate about Philly. We are too. That’s why we have dedicated ourselves to leading the Shared Public Spaces Workgroup over the past 18 months to explore the evolving nature of homelessness, prescribe solutions and act on street homelessness, food access and the code of conduct that guides public behavior. We are writing today to share some of the results of that work. We are optimistic about the progress and what’s underway to ensure safety, respect and dignity for all in the public areas we share: sidewalks, parks, transit stations, plazas and streets. We also understand that the limited financial resources available to aggressively pursue lasting solutions means that we must continue to develop creative and cooperative means to affect real change. Read our progress with shared public spaces. The following materials provide useful information about homelessness. Need somewhere to go during the day? Visit a Recovery Learning Center! A New Life and The Well are here to help you! Many sites citywide offer free meals. Some are for men only, some for seniors only. Some are wheelchair accessible. Many offer more services than just free meals. Best practices for creating safe and dignified experiences for emergency meal guests. The Office of the Deputy Managing Director for Health and Human Services interviewed 129 persons found panhandling from November 2016 to January 2017. 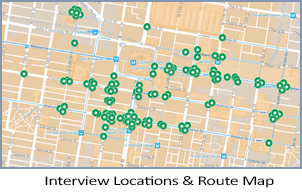 Interviewees responded to questions on panhandling behavior, income and benefits, housing, and health. People who panhandle in Center City Philadelphia also live in Philadelphia. They treat their activity like a full-time job. They earn a meager wage, which they use for essentials. People who panhandle would like to be employed, but face significant barriers to employment. The panhandling population experiences housing instability. The opioid epidemic has had an apparent effect on panhandling in Philadelphia. Panhandling is an individual activity and is routinely censured by authorities. We all share our public spaces – parks, plazas, streets, transit stations – and more. Lively shared spaces make the City fun and exciting, but they can also be crowded, dirty or even scary. Philly’s welcome growth has also created pressures. We need to renegotiate how we use our public spaces so we can all enjoy them safely, and ensure that all are treated with dignity and respect. → Expand alternatives – housing, jobs and services – accompanied by a code of conduct. To establish clear standards for behavior in shared public spaces together with the tools and engagement to support it. 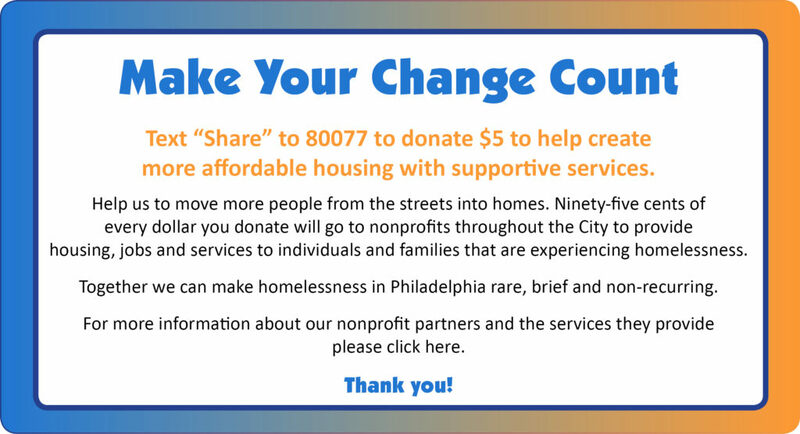 Strategize and implement real solutions to chronic street homelessness. Scenario lays out the problem of homelessness, the capacity and assets of the City’s current system and a selection of high impact strategies for addressing the problem.